New York, June 7, 2012 – Legal and public health experts are applauding the New York Court of Appeals, decision today to vacate the 2006 conviction and sentencing of David Plunkett, an HIV-positive man, for aggravated assault for biting a police officer. The state prosecutor argued that Plunkett had used his saliva as a “dangerous instrument” when he allegedly bit a police officer during an altercation involving several police who were restraining him following an outburst in a medical facility. Plunkett currently is serving a 10-year prison term in Sing Sing. New York’s highest court vacated Mr. Plunkett’s conviction and dismissed the aggravated assault complaint against him on the basis that his saliva, or any body fluid or part, cannot be treated as “dangerous instruments” and a basis for charging someone with aggravated assault under New York law. In its ruling, the Court “sought not simply to reach a textually and historically correct understanding of what the Legislature meant” the law to include, but also to avoid the injustices that “would result if criminal liability varied with the corporeal attributes of assailants and their victims.” This interpretation would make an individual’s health, disability or even physical characteristics relevant to a determination of the ability to do harm, resulting in a “sliding scale of criminal liability,” the Court concluded. The ruling is particularly important because it makes clear that a person's health status, disability or other physical attributes should never be the basis for increased charges or sentencing. In New York, prosecutors have used the general criminal law to pursue people with HIV charged with HIV transmission or exposure, resulting in long prison terms despite a lack of proof that the individual charged even was the source of a partner’s infection, and even when no transmission occurs. The Positive Justice Project (PJP) is the first coordinated national effort to address HIV criminalization in the United States, and is coordinated by the Center for HIV Law and Policy. 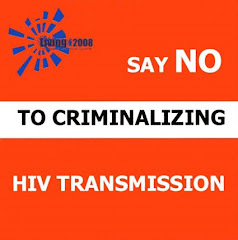 For more information on PJP and HIV criminalization, go to http://www.hivlawandpolicy.org/public/initiatives/positivejusticeproject.